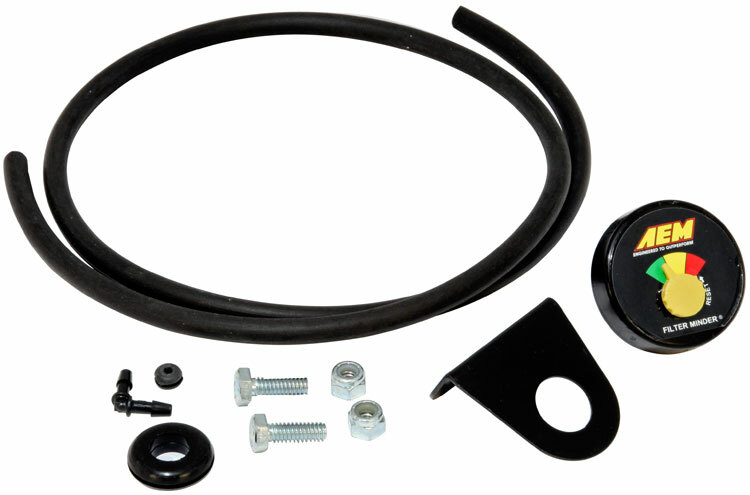 Vehicles today have an indicator light or gauge dedicated for just about anything. Many late-model vehicles feature readouts for tire pressure, gas mileage, they'll even tell you if you've forgotten to tighten the gas cap! Oddly enough, when it comes to knowing when to service the air filter, one of the most important components of a vehicle, you're left on your own. For many, knowing when to clean your vehicle's air filter can be tricky. Some of the typical questions when it comes to servicing air filters are: How many miles can I go between service intervals? Do I service the air filter when it looks dirty? Does it look dirty? Can my air filter be clogged? In addition to these very valid questions, air filters are not always easily accessible to determine if they should be serviced or not. In most cold air intake system setups, the front bumper and/or wheel well liner needs to be removed just to simply inspect the air filter. With AEM's new line of Filter Minder® gauges, the guesswork has been eliminated when it comes to knowing if it's time to service your air filter. 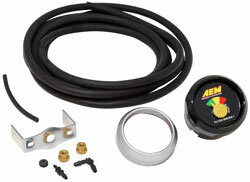 AEM's new Filter Minder gauges are an air filter service indicator. They constantly monitor airflow and the gradual increase of air filter restriction. As an air filter becomes dirty it holds much of the dirt and debris that was kept out of your engine. With this additional dirt and debris in the way the air filter gets restricted. The Filter Minder gauge senses this restriction. Its needle displays the current condition of your air filter. When the air filter is clean and has little restriction, the needle will stay in the green section of the gauge. As the air filter moves through its service interval it will move into the yellow section. Once the Filter Minder needle reaches the red zone it's time to service your filter and reset the Filter Minder gauge. Go to www.AEMIntakes.com for information on all AEM filter and induction products for your vehicle.